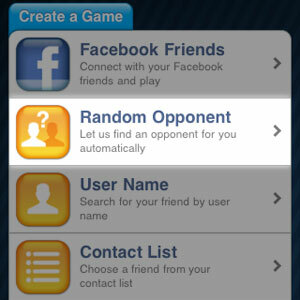 A woman from Blue Springs, Missouri, Beth Legler, began playing Words With Friends on her smartphone in 2010. Through the random opponent function, she met an Australian couple, Georgie & Simon Fletcher from Queensland, Australia. On a random day, during a game of the popular game, Georgie was telling Beth that her husband, Simon wasn’t feeling well. This was all discussed via the messaging function within the gaming app. In a nutshell, Beth’s husband is a doctor and she asked Georgie to describe the symptoms her husband was having. Beth relayed the information back to her husband, who then gave some words of advise that actually saved his life – “go to a doctor immediately.” Without being able to conduct a proper screening, the original prognosis was that he thought Simon was experiencing an angina. An agina occurs when the heart is unable to get enough oxygen enriched blood. Without the oxygen, pressure and squeezing in the chest occurs, as well as the possibility of having pain in the shoulders, arms, neck or back. The most known instigator of an angina is heart disease. There was a little hesitation from the Australian couple, but they went ahead and got to a doctor immediately. One of Simon’s arteries was blocked by 99 percent (99%). If he had not gone to the doctor, he most assuredly would have died due to not detecting the root of the problem. An emergency surgery was scheduled and two stints were implanted to keep the artery open and receiving blood. Typically, heart disease happens when the heart’s arteries become clogged or plaque builds up and reduces the size of the pathway for the blood to flow. In turn, this will prevent the blood from flowing to the brain and other parts of the body. The odds of suffering a heart attack or stroke are greatly increased when a patient is diagnosed with atherosclerosis (clogged arteries).